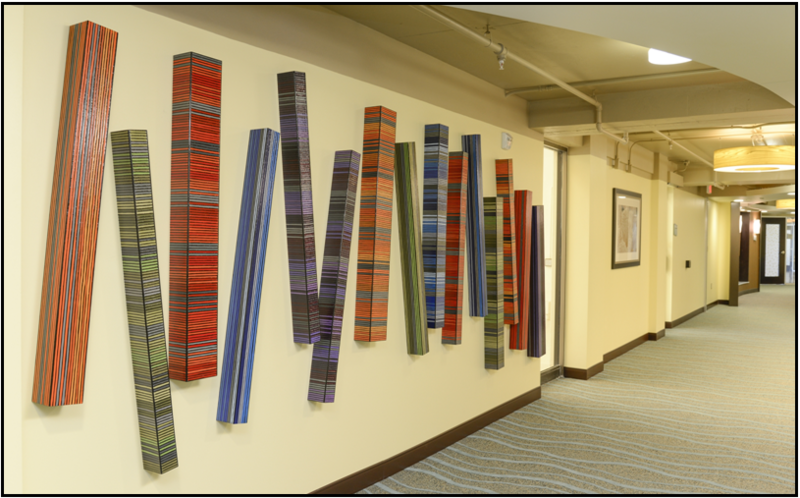 Have you seen this colorful new piece of art on the south wall of the Wellness Center corridor? This beautiful piece of art was made possible through the Ruth Carmichael endowed gift, the income from which we receive annually through the Community Foundation of Sarasota County. Ruth Carmichael, a Plymouth Harbor resident from 1990 through 1998, was known for a business she created called Art for Industry, where she brought modern art to the lobbies and halls of big business in Boston and New York. Through her gift, we created The Carmichael Collection that will be expanded annually through this fund, in honor of its benefactor. We are happy to continue Mrs. Carmichael’s vision here at Plymouth Harbor.